Every Tuesday I post about the new books I discover. So, I wanted to give a shout out to all those books published some years ago, I don't want to you to forget them! Have you heard about Willow? This was one of the first books I ever heard about. My friends were crazy over it because it was in that time when emo guys were popular in my town. I never had the chance to read it, but I always wanted. It sounds like a hard read. Seven months ago on a rainy March night, Willow's parents drank too much wine at dinner and asked her to drive them home. But they never made it--Willow lost control of the car, and both of her parents were killed. Now seventeen, Willow is living with her older brother, who can barely speak to her. She has left behind her old home, friends, and school. But Willow has found a way to survive, to numb the new reality of her life: She is secretly cutting herself. And then she meets Guy, a boy as sensitive and complicated as she is. When Guy discovers Willow's secret, he pulls her out of the solitary world she's created for herself, and into a difficult, intense, and potentially life-changing relationship. 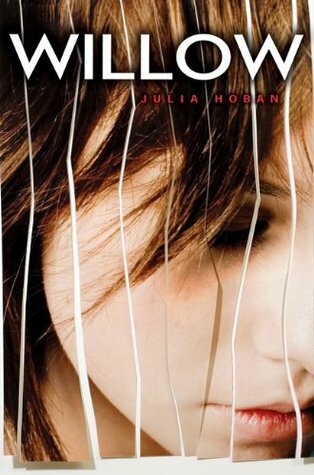 Julia Hoban has created an unflinching story about cutting, grieving, and starting anew. But above all, she has written an unforgettable tale of first love. Oh this sounds really good!!! I don't think I've ever heard of this one. I know, sometimes these books are so hard to bear. I might read it someday though. This one is new to me! Contemporary, right? It sounds like the type I stay far away from. D: If you read it, I hope you like it, Lis!